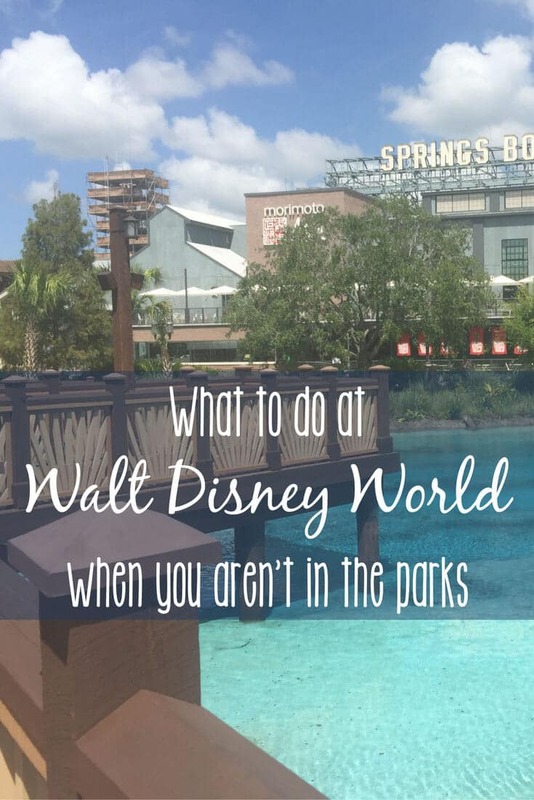 It’s true that there are so many things to do at the four Walt Disney World theme parks that you’ll never be able to do them all on one trip. And yet, we always encourage friends to be sure to have a day or two – or at least an afternoon, if your trip is shorter – to check out all there is to do outside those parks. We’re still working on that lengthy assignment ourselves, so here are just six of our favorite ways to make the most of your non-park days on your next Walt Disney World vacation. 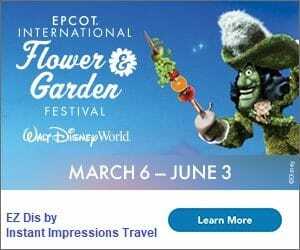 I wondered how I could possibly make them understand that just outside their view of Epcot’s International Gateway stood the Boardwalk entertainment area? That Disney Springs is not just as cool as my sister always found Downtown Disney, but that they’ve gone and made it even more incredible? That two of the biggest baseball fans I know should come back next year for a Spring Training game or two at Disney’s Wide World of Sports? That no, really, we haven’t even scratched the surface of all their is to do, even though we’ve been dozens of times? I couldn’t, but since you’re here I can try and share just a glimpse at the variety of fun waiting during each WDW visit. If you’re staying on property – at any “level” of hotel from Value to Deluxe or Home Away from Home – there are countless ways to spend your time. We have said over and over again, we need to book at Walt Disney World vacation sometime where we don’t set foot in the parks! Truly, an argument could be made for any of the pools on property. There are also shopping opportunities, nightly outdoor movies, pool parties, and several other activities throughout the day during your stay. 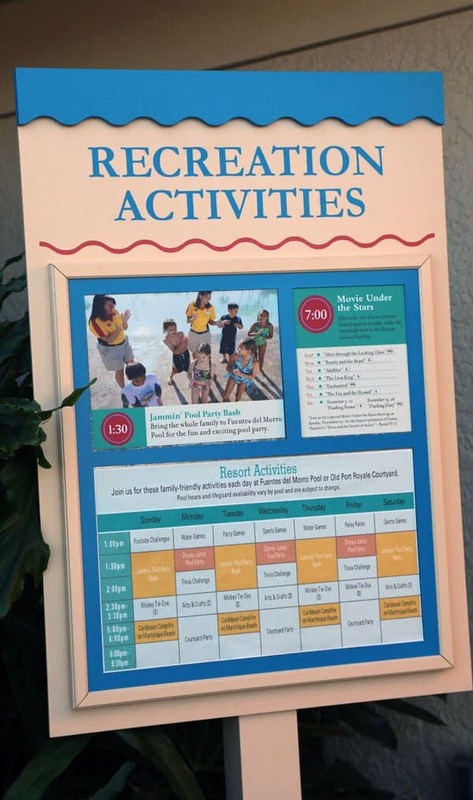 Be sure to get an updated activities schedule when you check in, or from guest services! Once you’ve checked out your own resort, don’t forget that you can venture to other areas of Walt Disney World to see the other hotels. This is especially fun to do during the holidays, when every resort is decorated – but the deluxe resorts go all out in their own uniquely themed fashion. 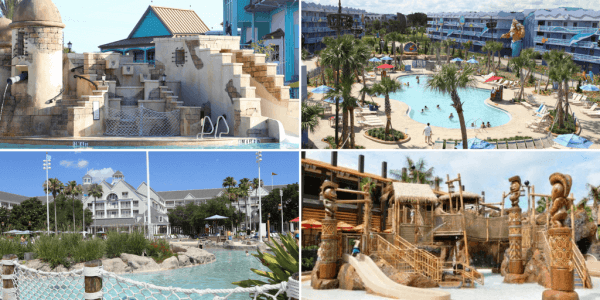 Disney’s Boardwalk resort area is one of the most unique places to hang out, but we think each of the resorts on property is worth a visit! 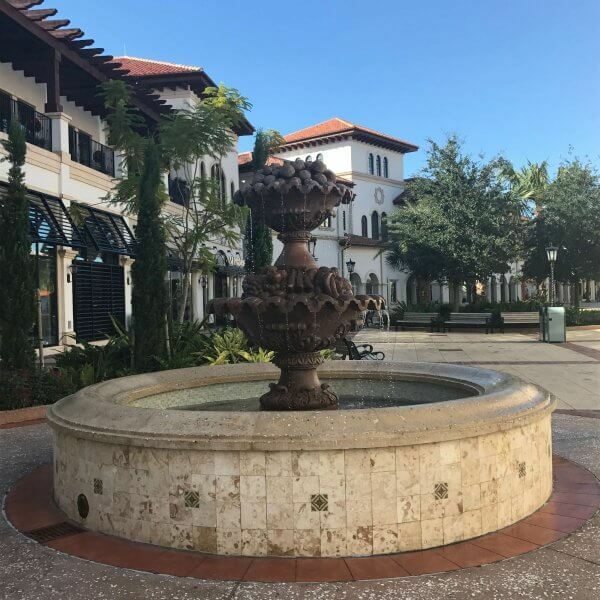 Some resorts, such as the Grand Floridian, Boardwalk, and Saratoga Springs (with its proximity to Disney Springs) offer additional shopping and dining venues, live entertainment, golf, and more. Plus, you can view lots of animals on the savannas at Animal Kingdom Lodge! Speaking of live entertainment… you can find some almost every night of the week. 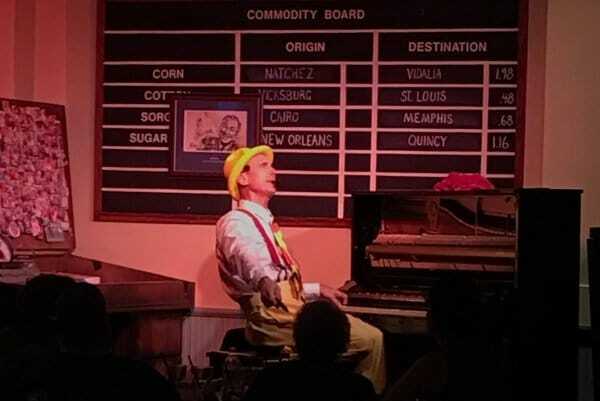 Many of the resort hotels have entertainment – a pianist or orchestra in the lobby of the Grand Floridian, Yeeha Bob at Port Orleans Riverside, etc. You can find dueling pianos at Jellyrolls on the Boardwalk, and a number of live acts throughout the entirety of Disney Springs. Yeeha Bob entertains guests at Port Orleans Riverside, but across the Walt Disney World resort you’re bound to find some live entertainment that suits anyone’s taste! As if walking at least 3x your goal of 10,000 steps isn’t enough, there are other ways to get exercise during your time outside the parks. If you’re a golfer, Walt Disney World is home to some of the most well-known golf courses in the country, including stops on the PGA tour. If you aren’t, maybe one of the two mini golf courses are more your speed! 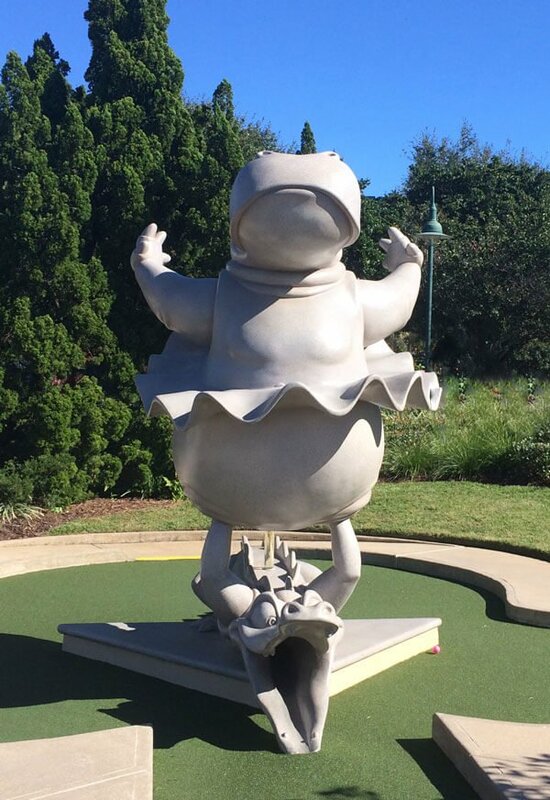 Fantasia Gardens is one of two wonderfully-themed miniatures golf courses at Walt Disney World. You can also go bowling at Splitsville, or take a walk/run on the New Balance trails found at each of the hotels. 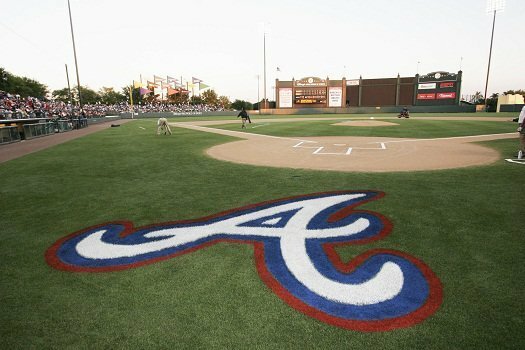 Disney’s Wide World of Sports is home to the Atlanta Braves Spring Training facility, but even when it is not baseball’s preseason, there are high school and college sports, cheerleading competitions, and dozens of other events to watch or take part in. 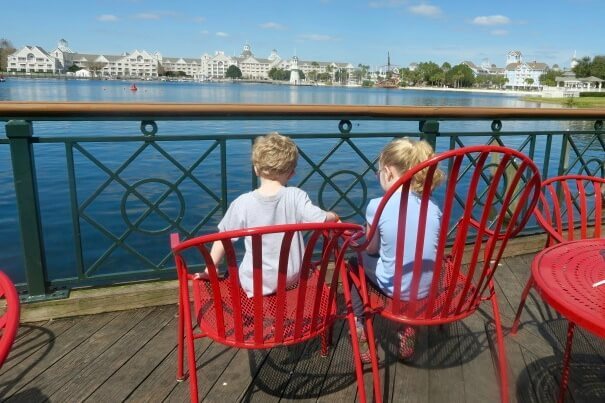 Downtown Disney was always one of our favorite places to hang out, every time we visited Walt Disney World. Once we visited the Anaheim version, though, we found “ours” a little lackluster. It seemed to be missing the vibrant (but family-friendly) night scene, opportunities for play, and general atmosphere of Disneyland’s incarnation. Not so anymore. With the transformation to Disney Springs over the past few years, this place is absolutely stunning. A new backstory provides more continuity to the theming, and the new areas they have built are beautiful. The new areas of Disney Springs are absolutely gorgeous! Whether you shop till you drop, eat until someone has to roll you out of one of dozens of delicious restaurants, build with legos, people watch, go up in a hot air balloon, or do any combination of the things available, Disney Springs is a destination on its own that definitely requires at least a day to take in! Have you ever “taken the day off” during your Walt Disney World vacation, or do you stuff your schedule from morning until night? What’s your favorite thing to do outside of the four parks? Looking for more specific ideas? Check out our Top 10 Things to do Outside the Parks, and these other great posts from the Blogorail! We loved resort hopping on our last trip. I still need to visit Animal Kingdom Lodge! I’d like to check out more of the live entertainment next time. Nice post! “Watch other people get exercise!” LOL I love all of your ideas, but that one is my favorite and one I hadn’t thought of! Great post! I have always loved visiting other resorts! Animal Kingdom lodge is probably my favorite to visit. There are some places to explore and cool out coves to observe the animals. It’s definitely a unique – and very special – place, even just to visit! I love that you take advantage of that. I think for so many people, the thought of resort hopping and exploring never crosses their minds.